A jewellery insurance policy can provide comprehensive coverage against various scenarios (like a mysterious disappearance) that may not be covered by standard homeowners or renters insurance. Loss: you left your ring somewhere and can’t find it. Theft: if your cherished jewellery is stolen, this protection will make sure that it can be replaced quickly. Damage: if you hit your diamond ring on the edge of a table and it cracks, this policy will cover the damages. A good jewellery insurance policy will provide comprehensive coverage against any scenario, that may not be covered by regular home and contents insurance, like if jewellery mysteriously disappears. Jewellery insurance services in Melbourne can vary significantly in cost, and GN Designer Jewellers recommend Q Report over other Melbourne insurers. It is common for insurance companies to cover general jewellery items as a part of a home and contents insurance policy. This will generally allow for $5000 as a total value, or with a limit of $1,500 on average for each piece. You will be asked for proof of purchase when placing a claim with your insurer, though generally not when setting up the policy. It is not likely that you will be required to provide a formal jewellery valuation certificate as proof of value – a receipt from us at GN Designer Jewellers that offers a description of the jewellery item and the value will suffice. While typically jewellery claims just come under the general jewellery category, providing proof of purchase and evidence of the cost is essential, so it is important to keep the receipt in a secure place. We recommend photographing your jewellery items, as a photograph may be able to be used should the receipt be lost. A product disclosure statement (PDS) will be provided by your insurer, and it is a good idea to read and understand this. For policies regarding specific jewellery items, most insurance firms will require a jewellery valuation certificate, as well as proof of purchase on any jewellery items valued over $1,000 or $2,000 (this will differ between insurance companies) before specified jewellery insurance services are issued. Consumers should speak directly with their insurer about their particular requirements to ensure they have the right cover. There is also the option to use an insurance broker when concerning items of high value. While home and contents insurance is critical, it does not offer comprehensive cover for your precious jewellery. GN Designer Jewellers suggests that you consider a policy from Q Report in cases of loss, theft or damage. As we are a Q Report certified jeweller, you can be covered before you leave our Melbourne store. For more information about their jewellery insurance services you can call Q Report Jewellery Insurance on 1300 882 018 or visit qreport.com.au. A jewellery valuation certificate is the document describing the jewellery in considerable detail and declares the value of the item. These certificates are often required when wanting to take out individualised insurance policies for jewellery. They may not be needed for policies regarding nonspecific jewellery items. There is no legal obligation for a jeweller to issue a jewellery valuation certificate when jewellery is purchased, though you should be aware that it is likely you will need to provide your insurer with a valuation certificate, especially for items over $1,000. For pre-owned or inherited jewellery, we would recommend using a registered valuer to evaluate you jewellery. Jewellery valuations do need updating and we recommended doing so every two years. Ideally, whoever values your jewellery should not be the seller or have any financial interest in the items being appraised. If the jewellery is evaluated by the seller, this must be disclosed. An independent valuation by a certified jewellery valuer will present you with an accurate description of quality, weight and dimensions. Ideally, the valuer will also be a certified diamond grader and gemologist. Your insurance valuation should list two fundamental values. The first valuation is the for-new value, which is the cost of a brand new item that is of comparable quality. The second valuation is what is known as indemnity value, which is the current value of your specific jewellery item. This is the amount necessary to purchase second-hand jewellery that is comparable in age, quality or condition. GN Designer Jewellers in Melbourne have over 20 years of experience in the jewellery making industry and create awe-inspiring pieces that will be cherished for a lifetime. Jewellery tells a story, it expresses your love and your individuality, and we believe it deserves to be protected. We use many rare, unique and precious stones and metals, so our jewellery is not only incredibly sentimental, it can also be very valuable. The peace of mind that insurance allows is priceless. If you have personally designed a piece of jewellery and paid for an expert craftsperson to handcraft the precious and rare stone, then that deserves to be protected.  The team at GN Designer Jewellers will ensure you find the right cover for your piece so you can have peace of mind.